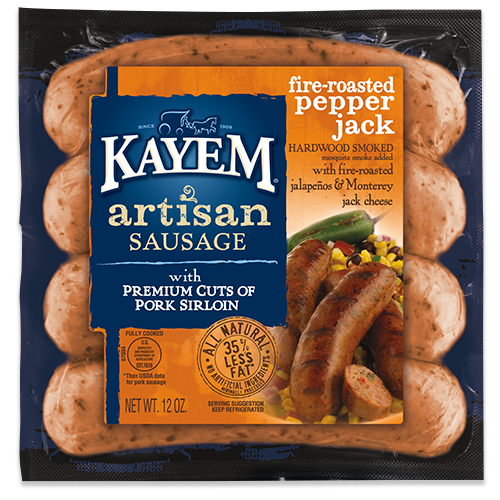 Hearty, flavorful, and spicy can only describe Artisan Fire-Roasted Pepper Jack Sausage. 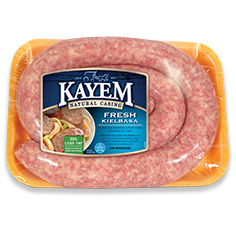 Made with premium cuts of pork sirloin, Monterey jack cheese, fire-roasted jalapeños, and other natural ingredients, this sausage will be sure to put a smile on your face and possibly a little perspiration. 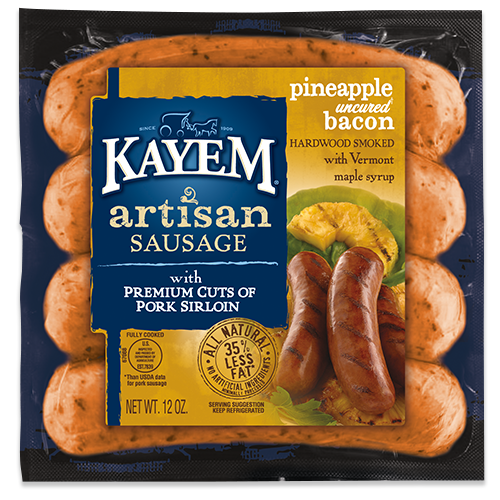 Pork, pork sirloin, water, fire roasted jalapeno pepper, monterey jack cheese (cultured pasteurized milk, salt, enzymes), contains 2% or less of hot smoked paprika, Mexican oregano, cilantro, chipotle pepper, natural mesquite smoke flavor, garlic, paprika extract, sugar, salt, natural flavors. 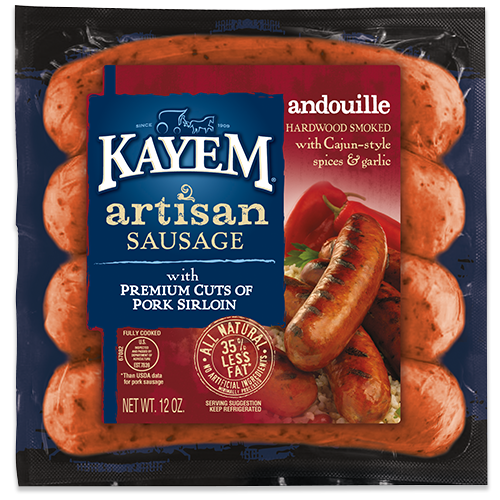 Our Artisan Sausages are fully cooked. 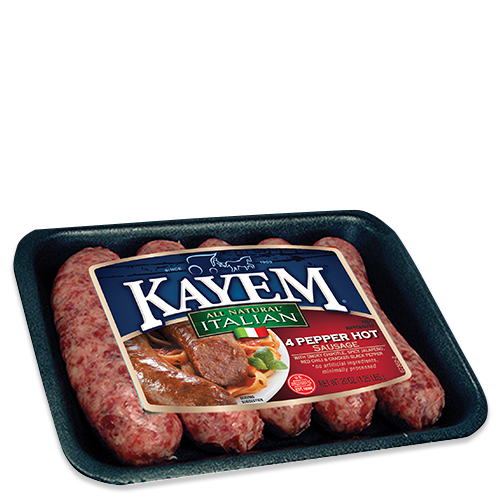 Just heat to 160ºF and enjoy!